As a professional wedding photographer, I've worked at most wedding venues Yorkshire has on offer. Choosing the right venue is such a big part of planning your wedding as you want somewhere that makes the day itself special and memorable. But, you also want a venue that is going to look good in your wedding photos for years to come! 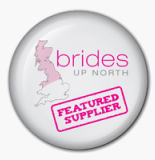 To people planning their wedding I thought it would be useful to put together a list of my top wedding venues Yorkshire has to offer - you really are spoilt for choice! I've tried to explain why I like each venue - what I like in general, but also some specific reasons about why the venue is good for photography. 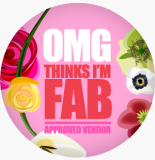 If you'd like any more information or advice about any of these venues (or anything else) please give me a call on 07981 347019 or use my contact page to get in touch. 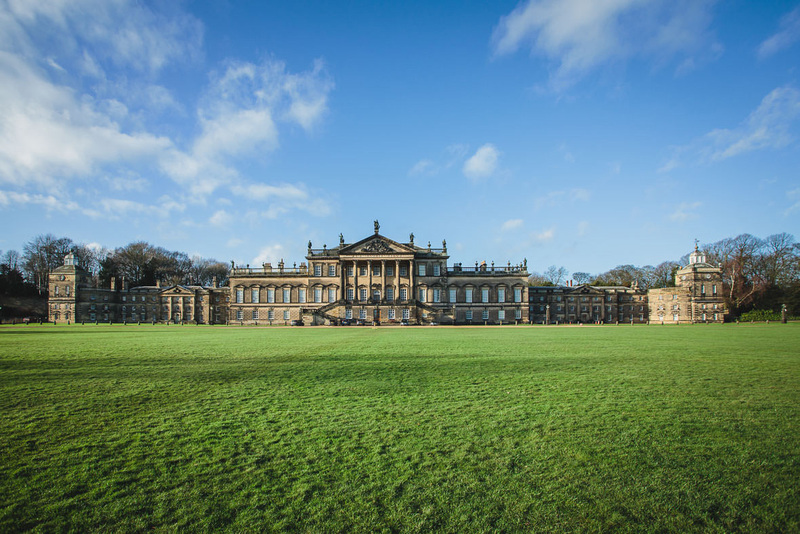 Looking very much like the film set of a gothic novel, Wentworth Woodhouse is the largest private house wedding venue in the U.K. It's even bigger than Buckingham Palace! Built in the mid 1700s, using a combination of architectural styles, you could have either a Baroque or Palladian backdrop to your marriage photos. 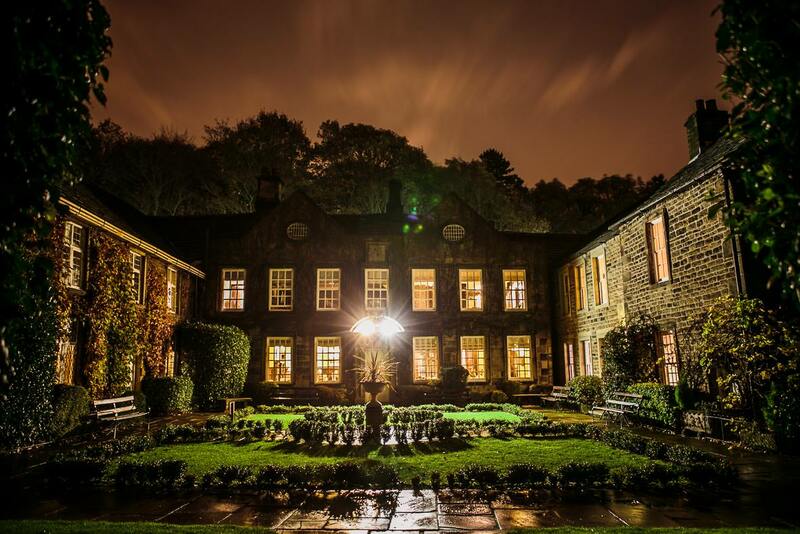 This wedding venue has a very romantic feel to it and is one of the very best wedding venues Yorkshire has to offer. 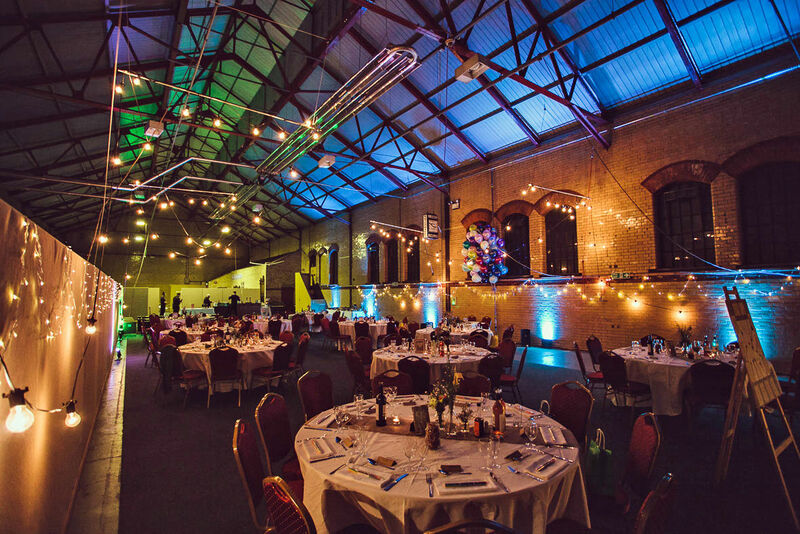 This unique wedding venue is located on a man-made island in the middle of Sheffield’s industrial district. 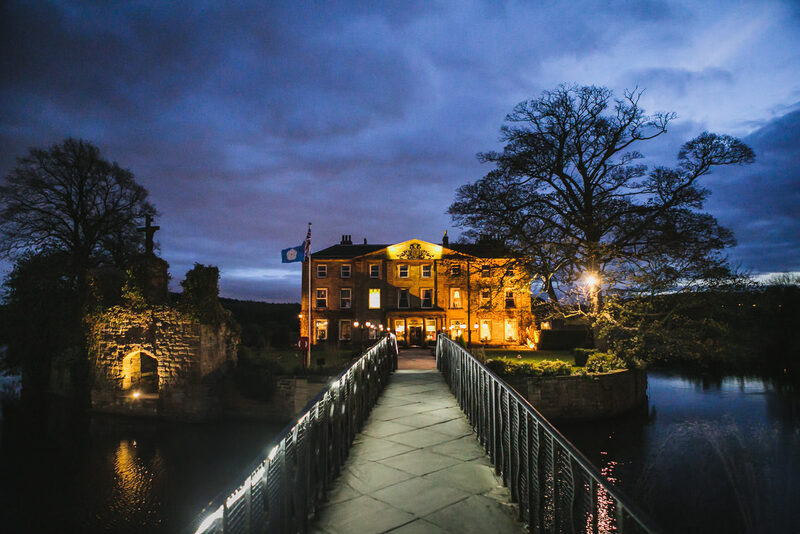 It is reached by a bridge, which when decorated with ribbons and lights, could be one of the most romantic approaches to a marriage ceremony that a bride and groom can walk along in Yorkshire. 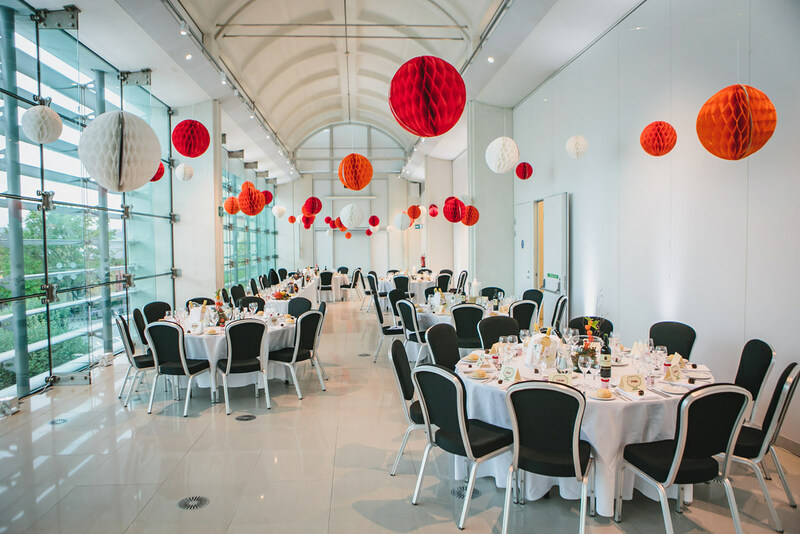 Wedding guests can wander through its fascinating galleries and exhibitions, while you concentrate on making photographic memories of your day. For a light, airy and very grand interior, right in the heart of Sheffield city centre, look no further than Sheffield Town Hall. You can expect help and support from an experienced in-house wedding co-ordination team, as well as an elegant backdrop for your photos. 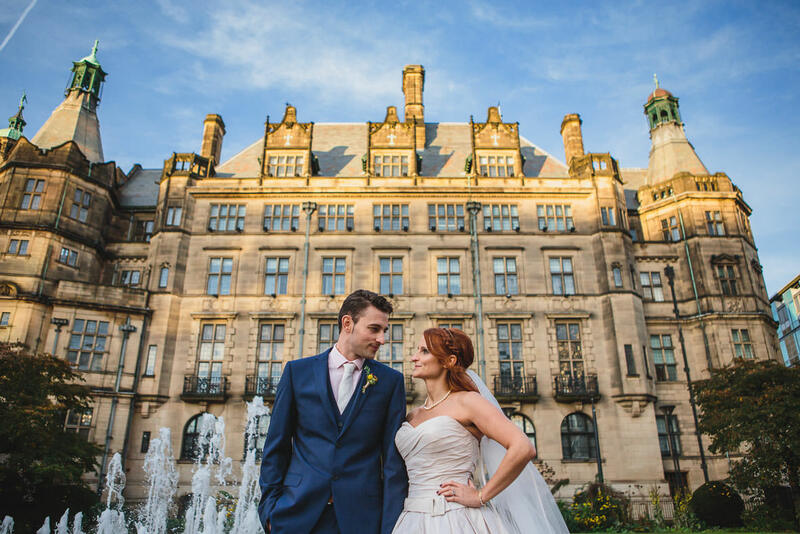 The Winter Gardens and picturesque fountains of the Peace Gardens are only a few steps away and also make for a great photographic marriage setting. 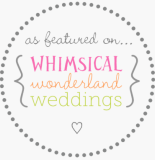 Creative couples will love this imaginative wedding venue. Get married amidst bright colours in an exciting, cleverly lit space. Your guests can wander around the art and craft displays while you have your photos taken against both the fascinating backdrop inside and among the flowers of the Winter Gardens just outside. This is a fun and extremely modern setting for any contemporary marriage - one of the most interesting wedding venues Yorkshire has on offer. Whitley Hall is a testament to 16th century grandeur. Standing tall in 20 acres of landscaped gardens, with peacocks adding to the romantic ambience, this exceptional venue is the perfect choice for couples looking for a fairytale wedding. The venue will put an experienced wedding team at your disposal to help with your big day and is licensed to take care of your ceremony, as well as your reception. This Hall is a former stately home that is set in 26 acres of its own grounds. Surrounded by fields, you'll have a stunning view from the sun terrace as you sip your bubbly following your marriage ceremony. 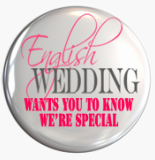 When you book here a dedicated wedding manager will be provided to ensure your big day runs smoothly. 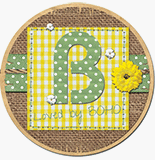 It will give you a great backdrop for your official wedding photos. 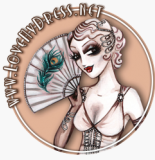 Love theatre and want it to form part of your big day? 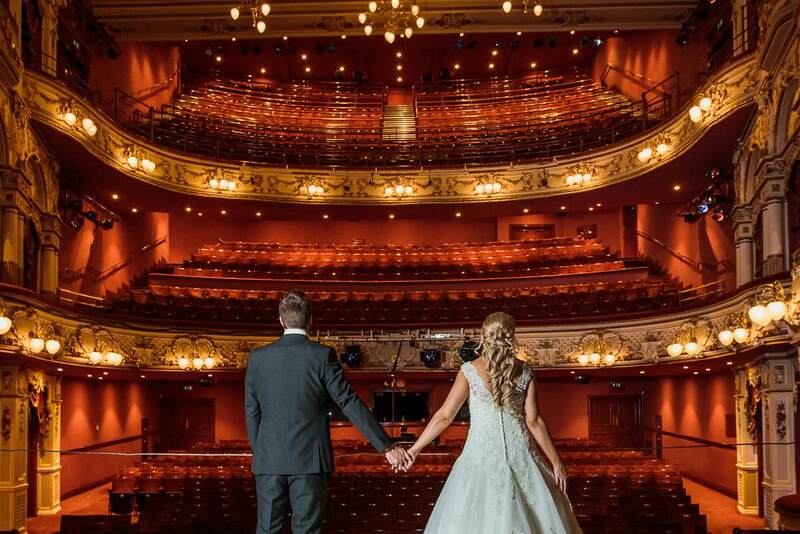 If you want to book a wedding here, you'll have access to both Sheffield's modern Crucible Theatre and the more traditional, adjoining Lyceum Theatre, with its elegant royal box and ornate seating area. You'll get married on the stage, while your audience of guests watches. The spotlights will be very much on you, for your unique ceremony. 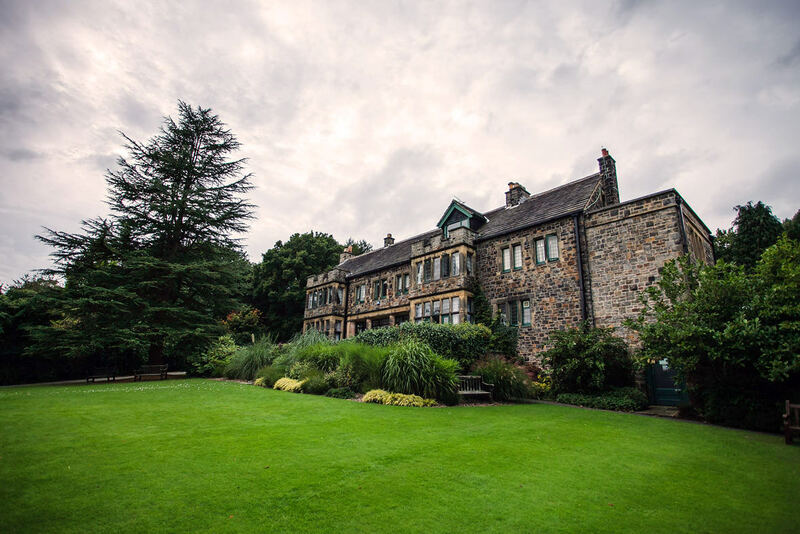 This elegant Edwardian Manor House is only 4 miles away from the centre of Sheffield, but it feels like it could be 100 miles. You'll have stunning views of the Peak District and the hall's own woodland also makes for a great photographic backdrop. It's an excellent venue choice if you're looking for some traditional English charm and a fairytale vibe. 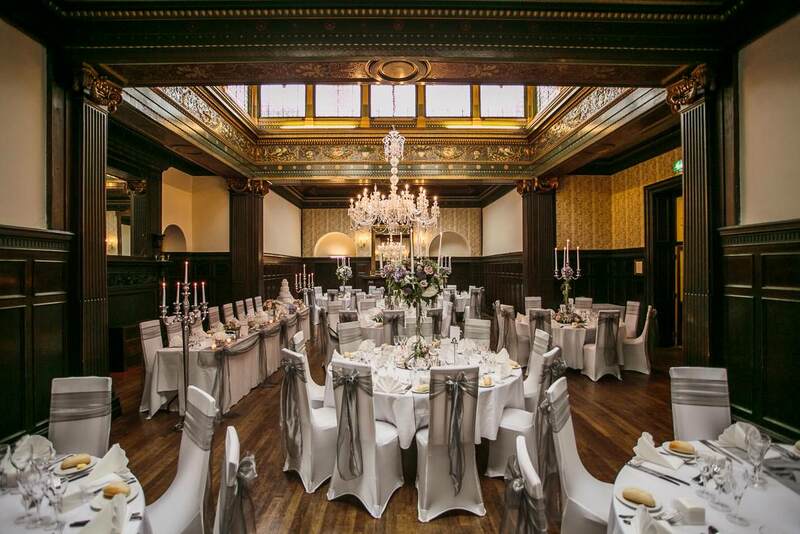 If you're looking for a bigger venue, Aston Hall is one of the best wedding venues Yorkshire has available to accommodate up to 300 guests in grand surroundings. Aston Hall can provide you with a venue for your ceremony and reception. A marquee with a capacity of 120 is also available for hire here. It is pitched in a picturesque part of this wedding venue's 55 acres and provided the weather’s good, makes for a beautiful backdrop for an outdoor wedding event. Want a wedding that will get you closer to nature? Why not head over to this 200 year old farm? 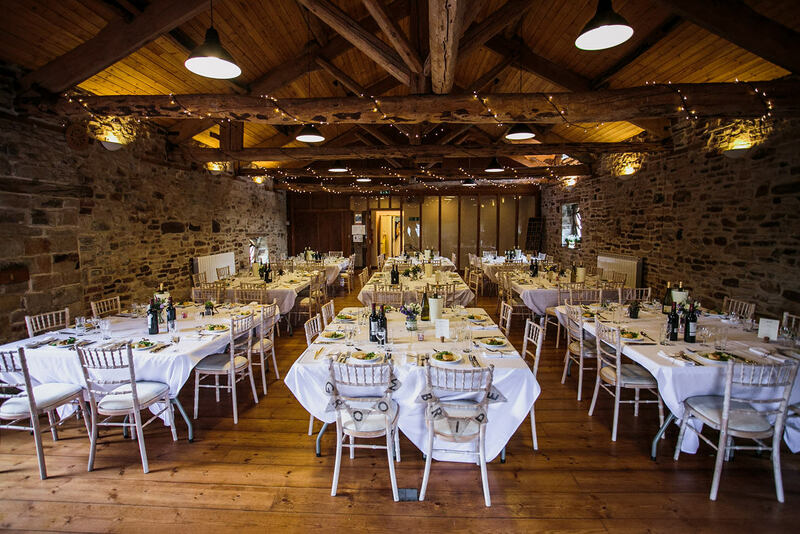 Now used exclusively for weddings and special occasions, Woodlane Countryside Centre is a breath of fresh country air just a short drive away from Sheffield city centre. Intimate and larger weddings are possible here, depending on the size of barn you prefer. The larger barn is fully equipped with its own bar. 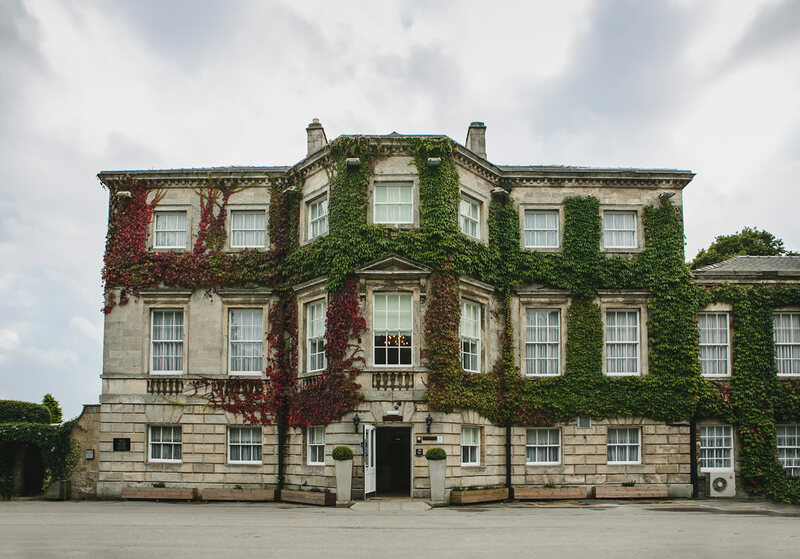 Set in romantic parkland, right in the heart of Yorkshire, with a picturesque lake providing a beautiful backdrop for your wedding photographs, this wedding venue offers a number of different packages. 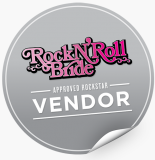 The venue’s wedding co-ordinator will be able to advise you. Additionally, it’s reached via a bridge, which is very fitting given that bridges are symbolically associated with new beginnings. You can have both your ceremony and reception here. And that concludes my list of the best wedding venues Yorkshire has to offer!